This maroon and white 1955 Chevrolet Bel Air two door post sedan is a nice old school street rod ready to be driven, shown and enjoyed. The car has very straight and solid sheet metal. The two-ton paint job looks good. The grill, bumpers and trim are nice. The glass is good. 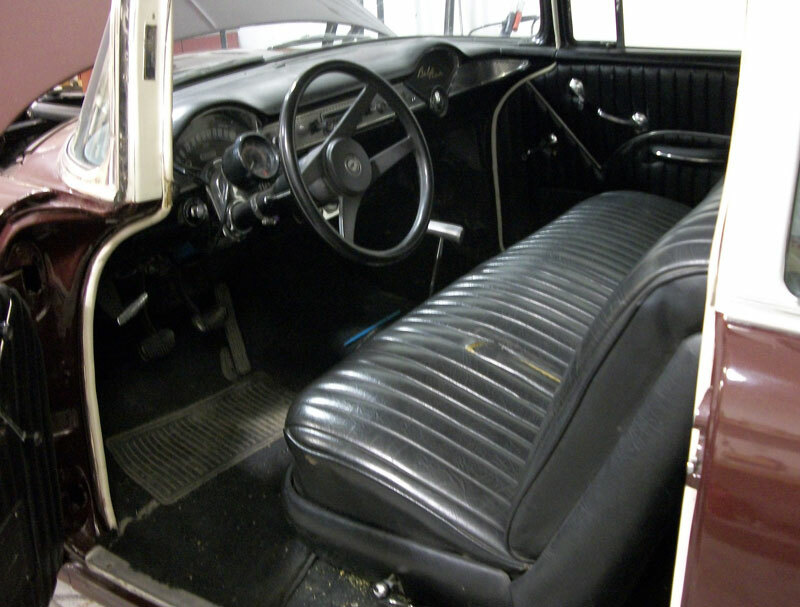 The car has a nice older black vinyl tuck-and-roll bench seat upholstery. There is a dash-mounted tack. The floors are solid. The car has new low profile tires and custom 5 spoke alloy wheels. The front has been lowered a little. 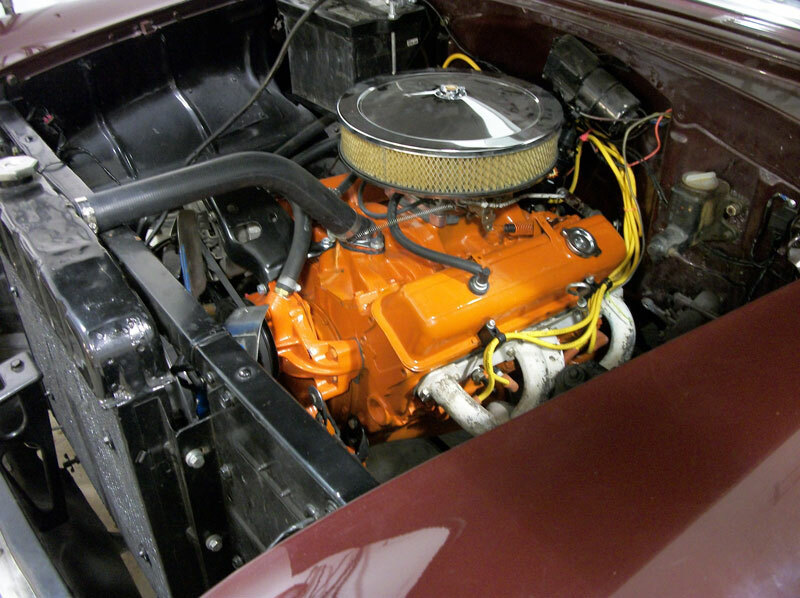 The car has a freshly-rebuilt 350 CID 4V four barrel motor with mild RV cam and headers. The transmission is a four speed manual floor shift. The car runs and drives very well. 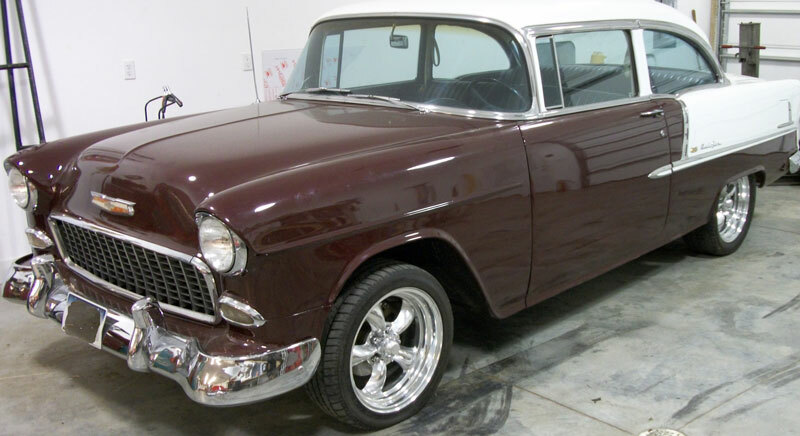 Here is your chance to own a real-deal old school 55 Chevy 2 door post hot rod. Please call (406) 318-0270 for details about this cool classic 1955 Chevrolet old school hot rod. For sale $21,500.